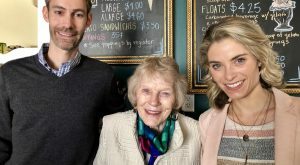 Keeping its foot on the accelerator after announcing its latest acquisition, a Richmond-based bank this month unveiled a new branch in Chesterfield County and sold a closed location to a competitor in Wahoo country. 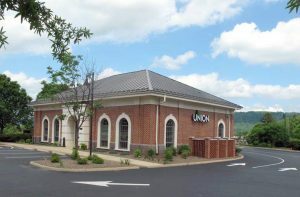 Union Bank & Trust opened for business Nov. 13 in its newly constructed location at 10620 Iron Bridge Road in Chester. The modern-design, 2,250-square-foot building was built on a 1-acre site next to Kroger. 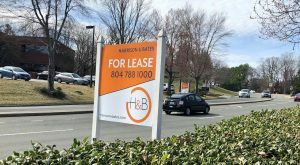 Union owns the building, while leasing the land from an entity tied to local development firm Rebkee, which acquired the plot in March from Kroger for $900,000. GreyBeale Construction was the general contractor on the branch, while Baskervill was the architect. It’s the first time Union has built from scratch since its Berea Marketplace location in Fredericksburg in 2011. “We’re pleased to be opening a new state-of-the-art location at Iron Bridge Road which replaced our Chesterfield Meadows branch just minutes away,” Union’s recently appointed president Maria Tedesco said in a prepared statement. Meanwhile, up in Charlottesville, Union struck a deal to sell its branch at 1330 Parham Circle in the Mill Creek area to competitor Carter Bank & Trust. 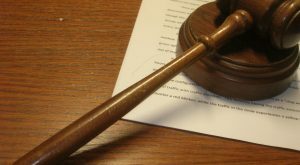 Union closed that location this summer in a statewide consolidation round that followed the closure of its acquisition of Xenith Bank. 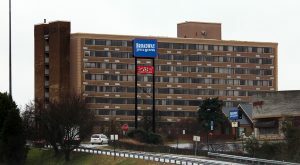 Carter, which is based in Martinsville, paid $1.34 million for the 2,835-square-foot building and its 1.34 acres. Brokers John Pritzlaff and Will McGoogan of Cushman & Wakefield | Thalhimer represented Union in the sale. The deal adds to Carter’s two other branches in Charlottesville, while Union still has five locations in that market. The Chester opening and Charlottesville sale bring Union’s total branch count to 140. That number soon will take another leap, as the bank is set to acquire Access National Bancorp of Reston in an all-stock transaction valued at $610 million. 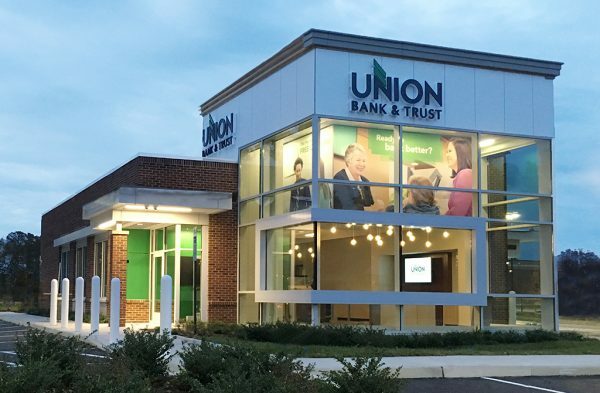 The deal will give Union its first significant piece of the Northern Virginia market and will come with about a dozen branches from Access’ Access National Bank and Middleburg Bank franchises. Union would have $16 billion in total assets once the deal closes. 1 Comment on "Local bank opens new branch in Chester, sells one in Cville"
No offense but the new branch looks like a converted McDonalds but hey, whatever works.